and Reynolds’s definitive work on the subject. in the ‘first world war’ of 1756-63.
a global American empire while waging the Cold War and does not dismantle it thereafter. makes black slavery economically necessary. 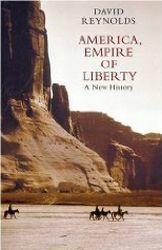 Liberty therefore becomes a crucial issue in the history of this nascent nation. the rights of blacks. This debate then extends to women, homosexuals, guns, the unborn and multiculturalism. The driver behind the American way of life is so often its religious faith, derived from Calvinist Protestantism. it becomes the underlying evangelical ideology of America and its foreign policy, from Wilson to George W. Bush. required reading for years to come. 7/10/2009 == All episodes are in. The collection is now complete.